The Chiropractic Belt™ promotes healing and alleviates pain while increasing the function of the pelvis. The pelvis is considered the foundation of the spine. 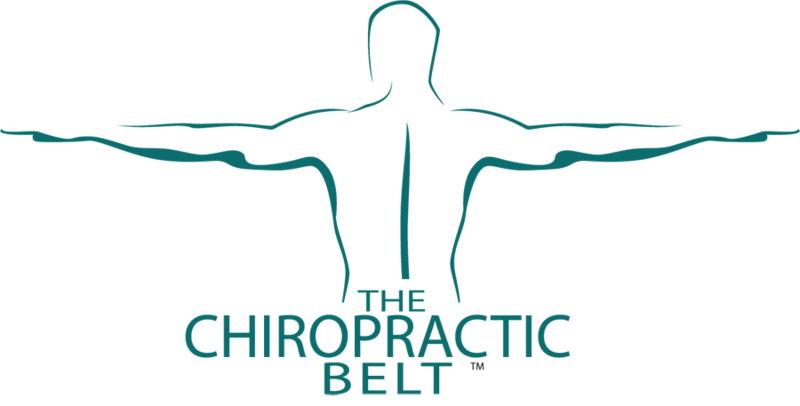 The Chiropractic Belt™ stabilizes and normalizes the pelvis. With the use of The Chiropractic Belt™ hypertonic muscles in the back and legs relax, improving circulation while relieving pain in the back, knees, ankles, and feet. The sacroiliac joint has two parts; one is movable, while the other is weight bearing. If the ligaments across the sacroiliac joint become stretched or partially torn, the joint separates. This separation causes the infusion of synovial fluid, resulting in swelling of the sacroiliac joint. Swelling of the sacroiliac joint produces pain and discomfort. The Chiropractic Belt™ stabilizes the sacroiliac joint, gently forcing the synovial fluid out of the joint space while allowing the ligaments to repair. The Chiropractic Belt™ is designed to promote healing while you go about your daily activities. The sacrum and the ilium form the pelvis which helps support the spine, skull, jaw, shoulders, arms, legs and feet. The role of the sacroiliac joint is in aiding the pelvis to accommodate and distribute weight. The sacroiliac joint, with the help of ligaments, tendons, muscles, and fascia, provides support to the internal organs. The Chiropractic Belt™ helps immediately with increased joint stability and reduced inflammation of the sacroiliac joint. During normal activities, lifting a heavy object, vigorous repetitive body motion, and prolonged sitting or prolonged standing, muscles in the lower back may become fatigued. The ligaments of the sacroiliac joint are vulnerable to stretching and tearing due to fatigue or injury. Ligaments which stretch or tear can cause a separation in the sacroiliac joint. The resulting pelvic instability is often the cause of muscle strain and spasm throughout the body, which may cause a variety of symptoms. Typically, sacroiliac joint dysfunction causes a dull ache, which is located at the base of the spine on the affected side(s). This pain may worsen during daily activities at any age. The Chiropractic Belt™, with correct placement and pressure of the side tension straps, will help resolve many of the symptoms associated with sacroiliac joint dysfunction.